Growing up I've never enjoyed my birthdays from being center of attention, as a child sure I got the occasional silly gift, a bicycle, trampoline, mobiles and hundreds of barbies which made me the happiest girl ever but each time it came to making a wish by blowing out the candles on my birthday cake, things never came true! I never got that good singing voice, my sister never played barbies with me for a day and I never actually fell in love with Prince Harry. I did get a tiara though! Don't judge okay? It's not pretty being judgy! 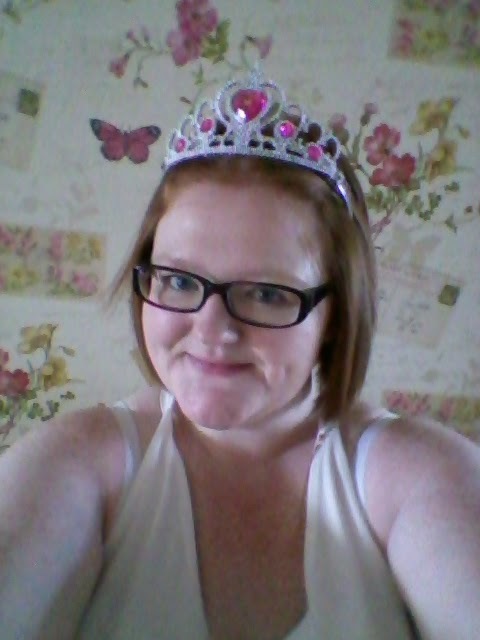 Tiara Megan got me years ago for my birthday! Over the years I've been told I'm hard to buy for, that I'm so indecisive and moneys better to give me but when truth comes to shove I'd rather just have that attention I hated so much as a child. I dislike people going out of their way to get me a gift, or giving me money when they're struggling enough as it is. I have everything I want and need which is why I hope this year for my 24th I get to spend some time alone with my fiance to relax and watch a movie, to go for a walk with my mum and enjoy our giggling chats along the way and also to spend time with my sister as Megan loves my birthday. (I'm gonna force her to watch Beauty and the Beast starring Emma Watson.) Gotta have some influence and sway on my birthday! What do you think of my post? Do you think people go overboard when they can't really afford it? Do you personally look for more than a card? Let me know in the comments below.